Kader was inspired to start the web platform after noticing “the pain that both customers and retailers have” while working with the retail industry. Before his experience in this industry, this Doha-based ‘trep from India spent his college years gearing up to be a physical therapist. Having said that, eGrab isn’t Kader’s first venture- he had previously started a venture dealing with “retail loss prevention systems integration” right after moving to Doha in 2008. 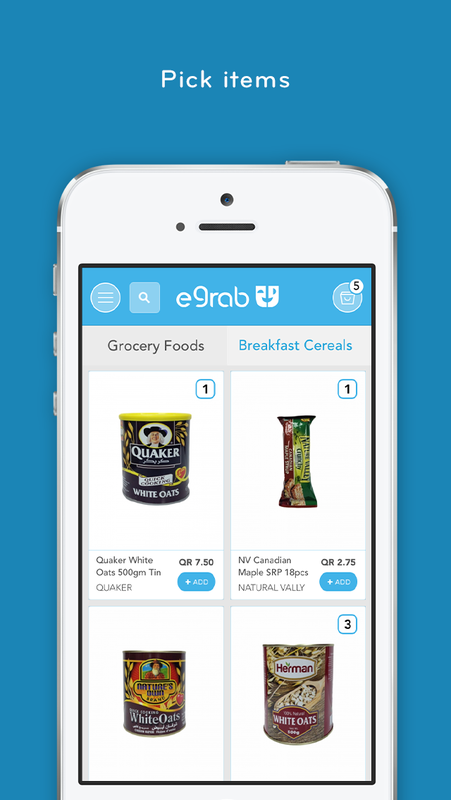 At this point, eGrab, developed with Kader’s Qatari partner Ali Al Malki, has already partnered up with “some A-class hypermarkets,” meaning that customers can already enjoy its services to deliver groceries to their homes. It’s an efficient system, which means that eGrab’s full-time workforce is minimal, and they don’t need to manage inventories. So with that said, what was eGrab’s development process like? “Technically, we had some challenges in finding resources at first,” says Kader, who also notes that eGrab was mentored by the Qatar Business Incubation Center (QBIC). He admits it was hard to find people who he thought would be right for the business- he needed staff that had the “startup mindset.” In addition, most professionals in Qatar were there on existing work visas, which made it all the more difficult to find individuals ready to work at his enterprise. Having said that, Kader gives credit to the Internet for helping him learn new skills, as he had to multitask his way through a few hurdles. Things did eventually improve after Kader and his team developed a minimum viable product, and had people test it. After receiving feedback, they tweaked their product, and now, here they are! While eGrab has competition, Rahid Kader is confident that his service stands out with its “robust backend engine,” which has been developed using what he describes as “the best of algorithms.” Another sign of better things to come is that while eGrab enjoys funding from QBIC, the founder claims that he is also “in talks with some great angel investors.” Marketing is always important, especially for a startup, and Kader has indeed kept that in mind for his venture. “We have a marketing strategy in place until our next round of funding using referral programs, social media marketing, and in-store promotions with affiliated hypermarkets,” he explains, elaborating the importance of social media. His favorite among social media platforms? He prefers Facebook and Twitter, given their large user bases. So what’s next? First of all, eGrab is going to be kicked up a notch. The founder is very excited to announce that the platform’s users can now keep “track of their deliveries in real-time.” With respect to medium- and long-term plans, Kader already has his eyes set on expansion. In fact, creating a simple platform that can easily adapt to other locations is something he prioritized with eGrab’s development from the start. “We can scale across GCC in less than four weeks,” Kader claims, adding that it would take about two months to settle outside of the GCC. That said, he reiterates that expansion is currently only in the preliminary stages, and it will not probably happen in the near future. I decided to take a small step back from eGrab, and ask Rahid Kader about Doha and its startup ecosystem. After all, he’s not a stranger to Qatar’s capital, and has been part of the city for almost a decade. He credits Qatar’s growth in this space to the rise of “incubation centers, startup accelerators” and the like, with Kader giving a special mention to QBIC. With that optimistic outlook on Doha’s entrepreneurial ecosystem, I wasn’t surprised when he shared with me his plans to start a new venture that he claims will serve retailer needs. 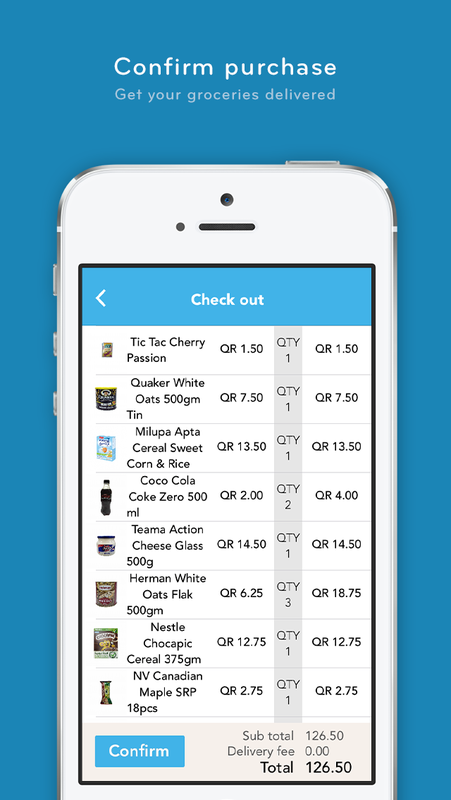 As for Qatar’s e-commerce and m-commerce industries, Kader thinks that the latter will be adopted faster than the former. With respect to e-commerce, he believes that while it has been a slow adoption process for Qatar’s population to begin using debit and credit cards in online transactions, the trend has been increasing. That said, even though m-commerce is still laying its foundation, many ‘treps and microbusinesses are now using platforms like Instagram to sell products. Kader claims that “Instagram sales are booming,” and that “the future is mobile.” He too believes that mobile is “Web 3.0,” as once described at ArabNet Beirut 2015.